Equipped with choice factory-installed accessories like 27 in. (68.6 cm) Maxxis Bighorn 2.0 tires, 14 in. (35.6 cm) cast-aluminum wheels, and Dynamic Power Steering (DPS), the Defender XT is ready when you are. HEAVY-DUTY ROTAX V-TWIN ENGINES: The Defender XT package offers two very capable true-work powerplant options. The 72-hp Rotax HD10 V-Twin is specifically tuned for serious work but also offers 61 lb. ft. torque and peak torque at lower RPM for optimal delivery for recreational use. The work-focused Rotax HD8 V-Twin delivers 50 hp and 50 lb. ft. torque for tough tasks. 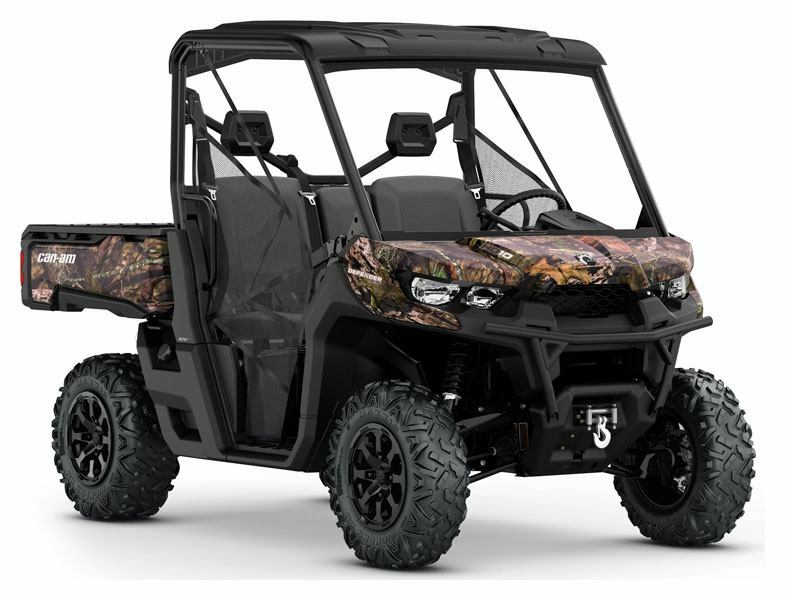 DYNAMIC POWER STEERING: Dynamic Power Steering (DPS) is tuned for utility while returning renowned Can-Am responsiveness for recreational riding. DPS improves steering feel in slow-speed working situations and in more technical terrain. It's also designed to offer less assistance at high speeds and more assistance at low speeds. 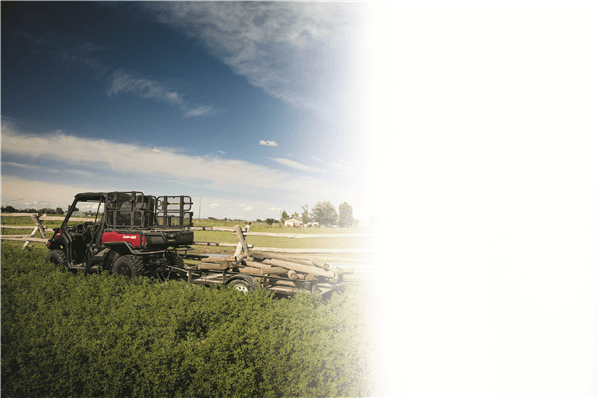 4 MODE TRACTION SYSTEM: The Visco-Lok QE† front differential combined with the lockable rear differential offer a 4-mode traction system providing multiple choices for varying terrain or tasks. 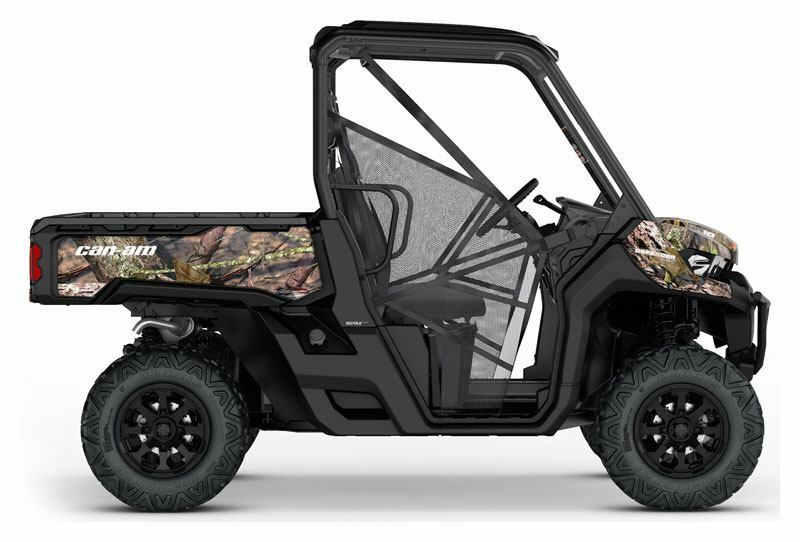 Users, via a separate front-and-rear toggle switches, can select between a 2x4 open rear differential for tight turning and turf protection, a 2x4 lockable rear for improved 2WD traction, a 4x4 open rear for more maneuverability in rugged terrain and a 4x4 locked rear for maximum traction. The rear differential is gear-on-gear to the transmission for better response, no maintenance, better efficiency and fewer components. ECO, WORK AND NORMAL DRIVING MODES: Select from three driving modes that are designed to optimized performance on a variety of terrain as well as saving on fuel consumption. OPEN DASH WITH REMOVABLE TOOLBOX AND UNDER DASH STORAGE: The Defender has a total of up to 16.9 US gal. (63.9 l) of storage—including a handy, removable and water-resistant 1.7 gal. (6.3 l) toolbox, an industry exclusive—to carry tools and supplies exactly where they're needed. In addition, we include 6 gal. (23 l) of under-dash storage with an enclosed pocket, under-seat storage, and enclosed storage above the gauges. ADVANCED VERSA-PRO BENCH SEAT: The VERSA-PRO bench seat offered on the XT package includes a truck-like flip-up passenger seats with sealed/waterproof under seat storage. It uses a reinforced seat cover with thicker vinyl and a special material finish to be more resistant and offer a premium look. 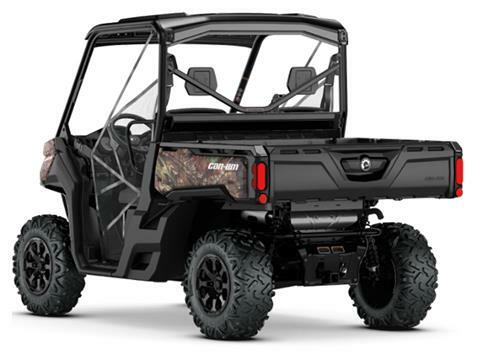 The Defender vehicles’ high-quality seat cover is designed to endure the everyday use on the farm, job site and trail. In addition, the XT driver seat features 3-in (8 cm) of adjustability (forward/rearward) for added comfort and better entrance / exit. 27 IN. (68.6 CM) MAXXIS BIGHORN 2.0 TIRES ON 14 IN. (35.6 CM) CAST ALUMINUM WHEELS: Ready to go when and wherever you are, Maxxis Bighorn 2.0 tires offer a smooth ride, predictable cornering and optimum climbing confidence and are installed on redesigned durable, lightweight cast-aluminum wheels. CHOSE YOUR SHADE: It's time for a tough decision: Intense Red, Hyper Silver painted options, or the Mossy Oak Break-Up Country Camo water dipped option? 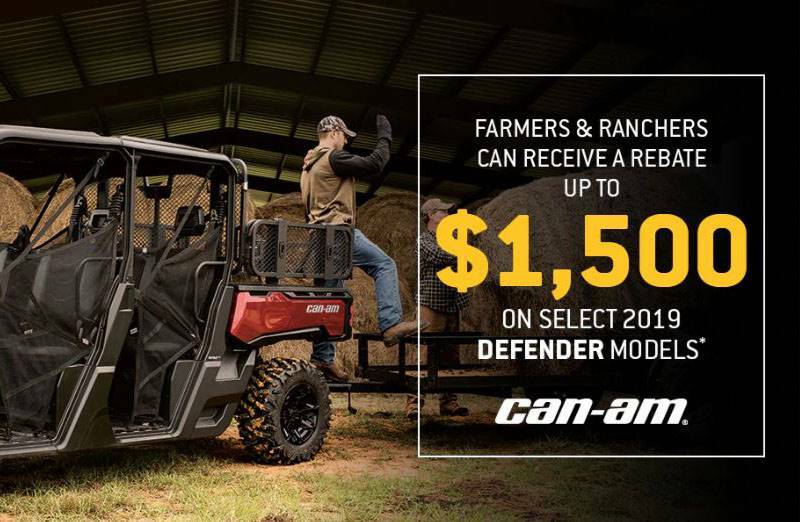 1-YEAR WARRANTY: For 1 year after you take delivery of the Defender side-by-side, we defend its hardworking abilities with a full factory warranty. ROPS-approved profiled cage. Certified ISO 3471 and OSHA.